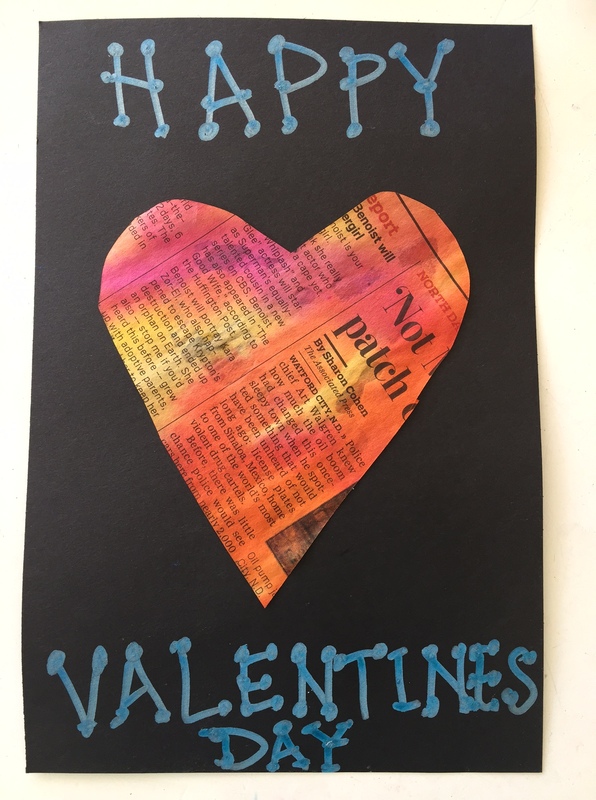 Ok so I know I promised that the last post was going to end my Valentine obsession but I couldn’t help myself…I had some newspaper spread out on my tables so I dripped the liquid water-color in warm then cool colors on separate sheets. The last two weeks we have been learning about warm and cool colors so I thought I would use them. 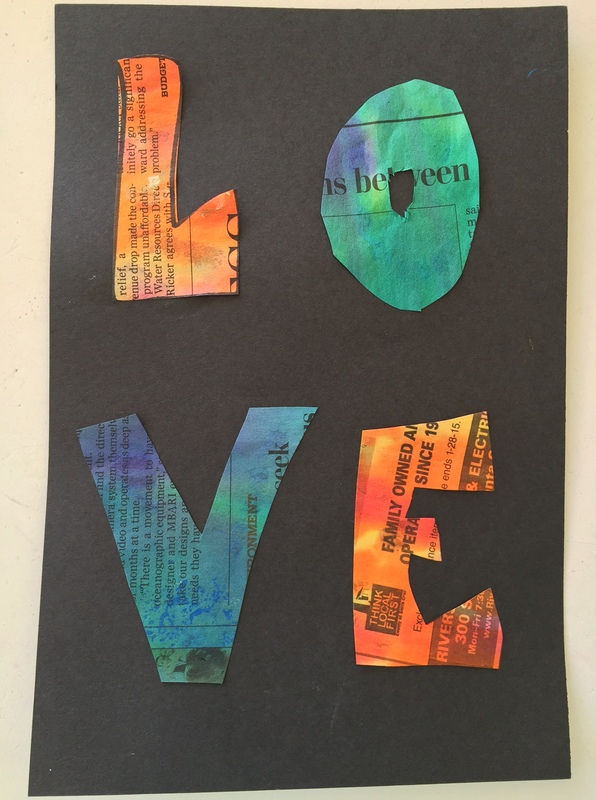 My students were in my room during lunch so I had one of them cut the word love out then a medium-sized heart and we made these on black cardstock. Easy peasy and really pretty. Last one I promise…Happy Valentines!